Residents can dispose of confidential documents at the Burlington County Resource Recovery Complex in Florence from 9 a.m. to 1 p.m.
Burlington County residents will have another opportunity to recycle their confidential documents at a free paper shredding event hosted by the Burlington County Board of Chosen Freeholders and the County’s Recycling Office this Sunday, Nov. 5, from 9 a.m. to 1 p.m., at the Burlington County Resource Recovery Complex on Burlington-Columbus Road in Florence. 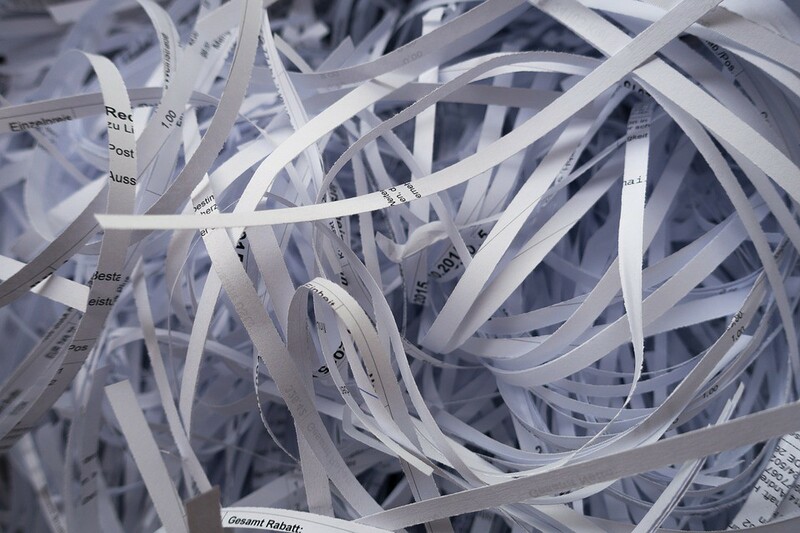 Residents are urged to bring only confidential documents for shredding, such as bank and credit card statements, tax returns, papers with account numbers or social security numbers. They will be shredded on-site. No binders, plastic folders, computer disks or plastic credit cards will be accepted. Up to four bags or boxes per car will be accepted. Already-shredded paper can also be recycled at this event. Garganio said the country will once again have volunteers on hand to unload confidential files while residents remain in the comfort of their cars. “Additionally, for residents looking to make room in their closets, a textile drop-off for gently used clothing and linens will be available during the shredding event,” Garganio said. Burlington County has offered eight shredding events so far this year, collecting a total of 185,141 pounds of confidential documents for recycling. The last paper shredding event of the year will be held on Sunday, Dec. 3, from 9 a.m. to 1 p.m., at the Burlington County Resource Recovery Complex. “It has been a tremendous year for recycling here in Burlington County, and the numbers show it. My thanks go out to our dedicated recycling staff, volunteers, and residents who come out to these events and help make them a success,” Garganio said. This free event is for Burlington County residents only. ID is also required from residents. No businesses will be allowed. The Burlington County Resource Recovery Complex is located at 22000 Burlington-Columbus Road in Florence.